As Chicago native R. Kelly faces a plethora of abuse allegations, fellow Chicago native Chance The Rapper has decided to remove his R. Kelly collaboration “Somewhere in Paradise” from all streaming platforms. Chance and Kels released the track in 2015, along with another Chicago singer, Jeremih. Chance recently spoke on the collaboration with journalist Jamilah Lemieux, admitting that he regretted making the track with Kelly. 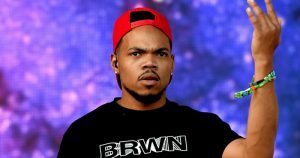 Chance also faced severe backlash for saying he did not value the accusers stories.